Stickpins are of course pins, but they are specific unto themselves. The closure is different than the jewelry in the PINS category. Stickpins have a long rigid spike that extends inches past the pin itself. They were also worn by both men and women. 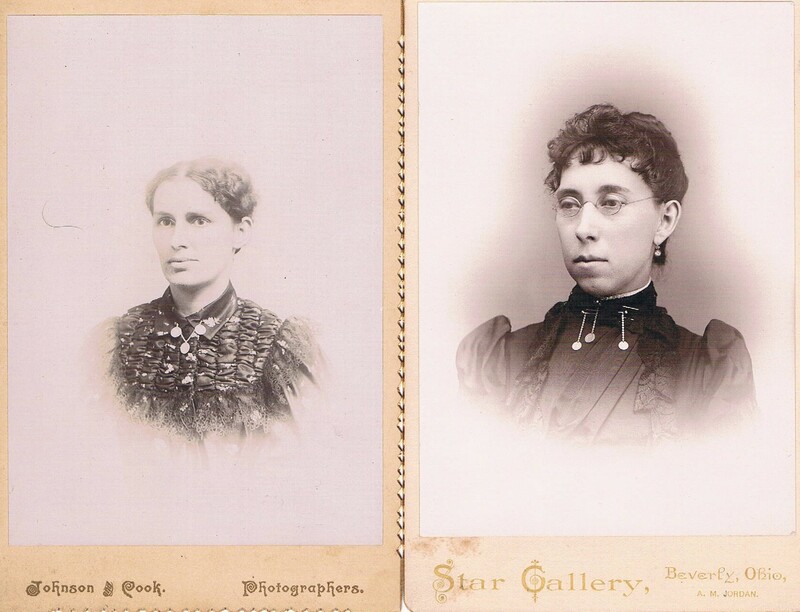 Judging by the photos below, women tended to favor them. 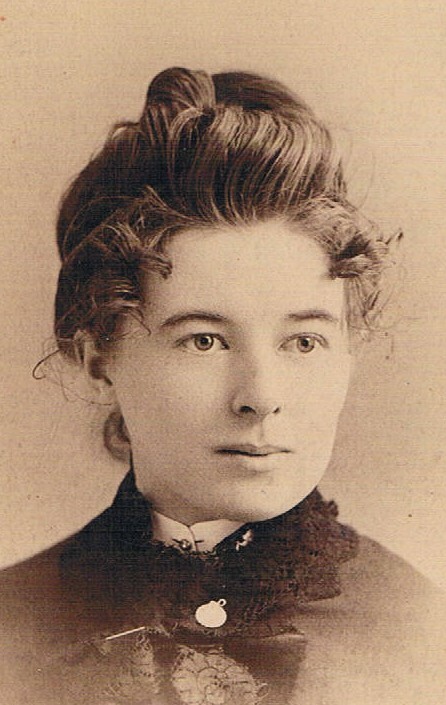 There is a little variation in stickpin design. 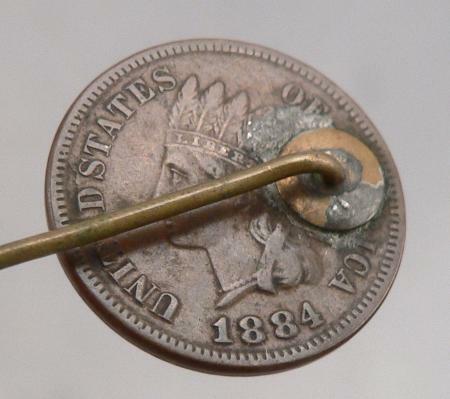 Some have the pin soldered straight to the coin and some have a free moving charm suspended. 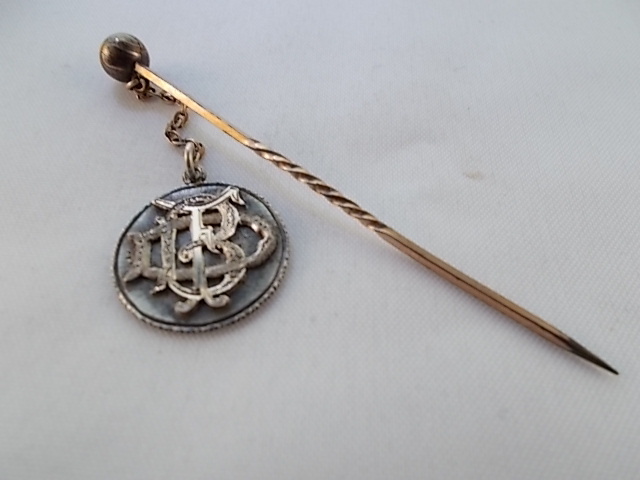 More interesting is the double stickpin with a chain joining the two barbs. Love tokens are then decoratively suspended from the chain. 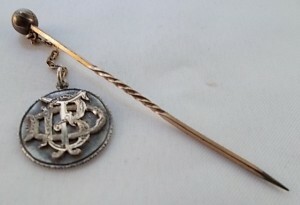 Left: Love token charm dangling from stickpin. 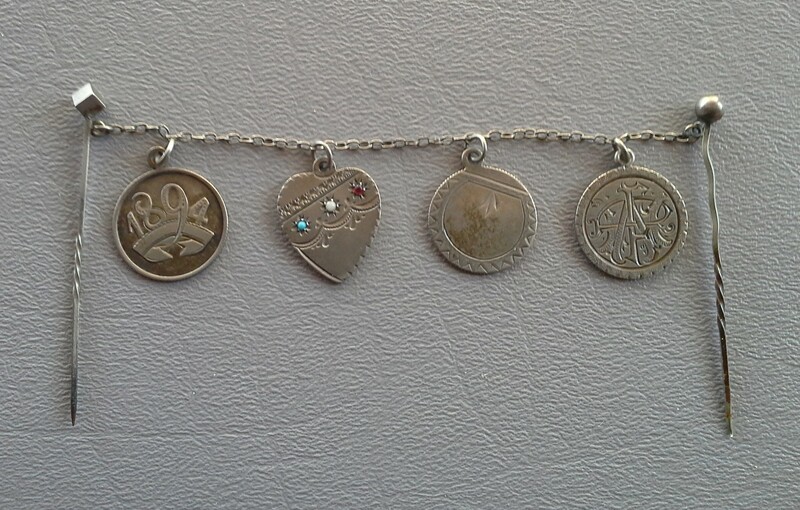 and three love token charms. Below: Three separate stickpins with love tokens. 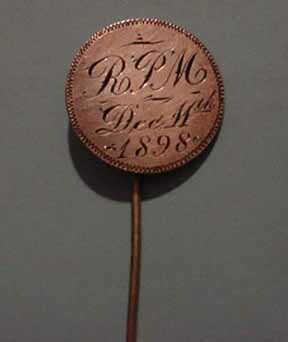 Indian head stickpin. 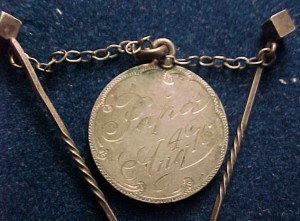 Coin date is 1884 while the engraved date is “90”. 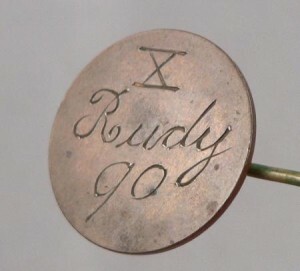 A roman numeral 10 is also shown. Could the 10 be an age, a month, or date? “Rudy” has created a mystery. Liberty nickel with two stickpins attached. Papa Aug. 4 ’16 Love token hanging from chain. “DFB” in gold overlay on dime. 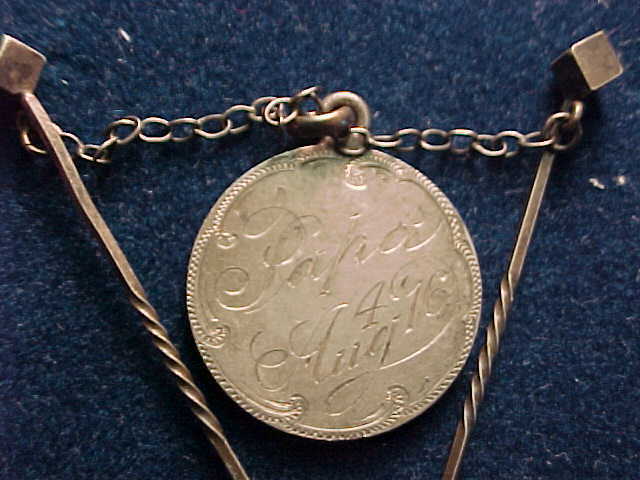 1894 raised, heart with stones, decorative border, and initials.